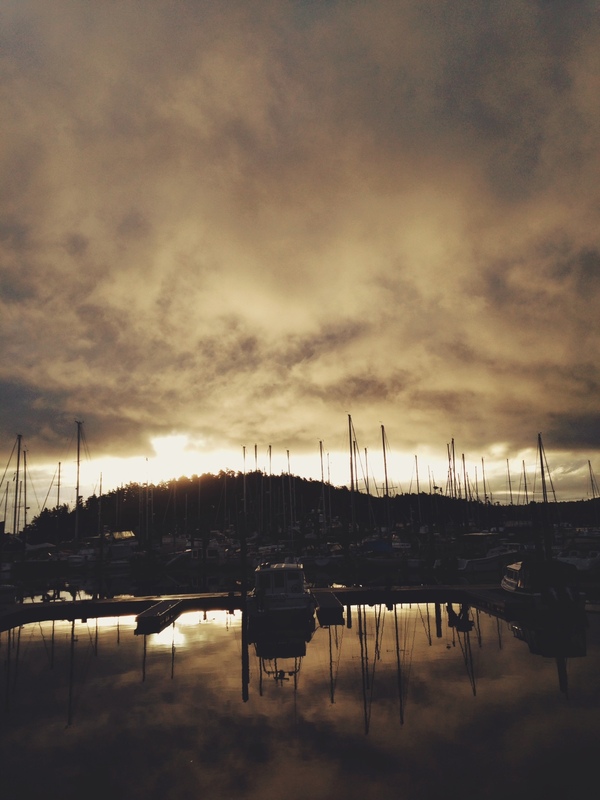 It has been so refreshing to notice the sense of community that quietly moves amongst the docks. People are always coming and going, new faces, new dogs, new stories, new adventures. It’s fascinating. There is an ever changing landscape as well, based solely on what boats arrive or leave. It has also been nice to notice the constant people we see every day. They are the faithful people we have our running conversations with about all sorts of random. It’s awesome. I love that our girls are able to visit with so many different people on a continuous basis. I also love that they get to see folks leaving on admirable adventures and journeys. The possibilities in their world expand each time. Speaking of community, the other night our neighbor called over from him deck and told us the space station would be flying over at 8:00pm. Sure enough, right at 8pm there were about six of us all watching it go over. It reminded me what it meant to have a neighbor, something I feel we have lost with so many other places we have lived. Because I have been home with our girls it has been fun to enjoy our neighborhood a little bit more. With some imagination we have been able to create all sorts of fun play spaces. There are perfect ramps for race cars, balance beams everywhere and tiny nooks to build tooth fairy houses, not to mention a ton of boat names to learn and letter/number hunts to partake in. 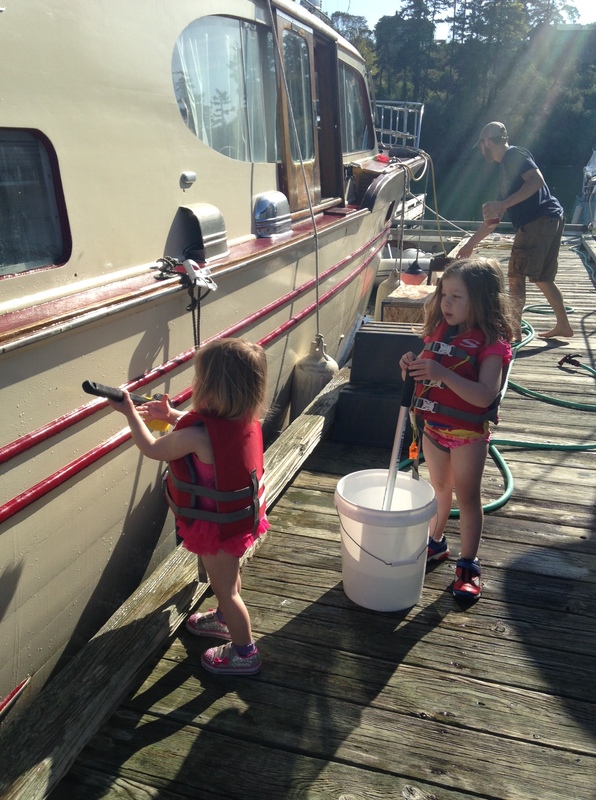 With the ages of our girls the joy of washing the boat is amazing. Crossing our fingers that the allure of that activity will never wear off, though I think that might be wishful on my part. We have also been able to get out and about a little more on the island. We hiked out to the lighthouse at Cattle Point and it was crazy windy but beautiful and have visited quite a few beaches and playgrounds. I’ve lived in a ton of different places and no matter where you go, everyone always says, “wait five minutes and the weather will change”. It is a universal phrase in America. This place proves no different. With the rain though, we have come to realize our boat has more than a few spots where water comes in. Like a lot of water. This weekend is supposed to be nice followed by a warm stretch so we will epoxy all our leaky spots. Matt has sourced all of them so now it’s time to patch them up. 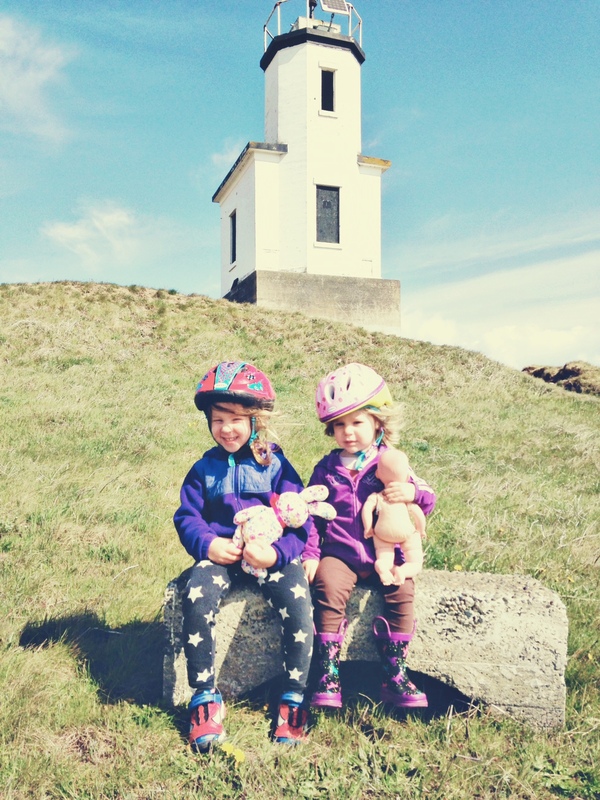 I’ve decided to start a new business on San Juan Island and I’m pretty excited about it. I am going to provide a personal grocery shopping and delivery service for locals and vacationers. My business is called Island Grocery Grabber. All folks will have to do is visit my website (it’s almost done), place their order and I will shop for them and then deliver. I know that there are a million times I would have loved this service so I am hoping others will agree. I also think folks at both marinas (Friday Harbor and Roche Harbor) will enjoy this service. 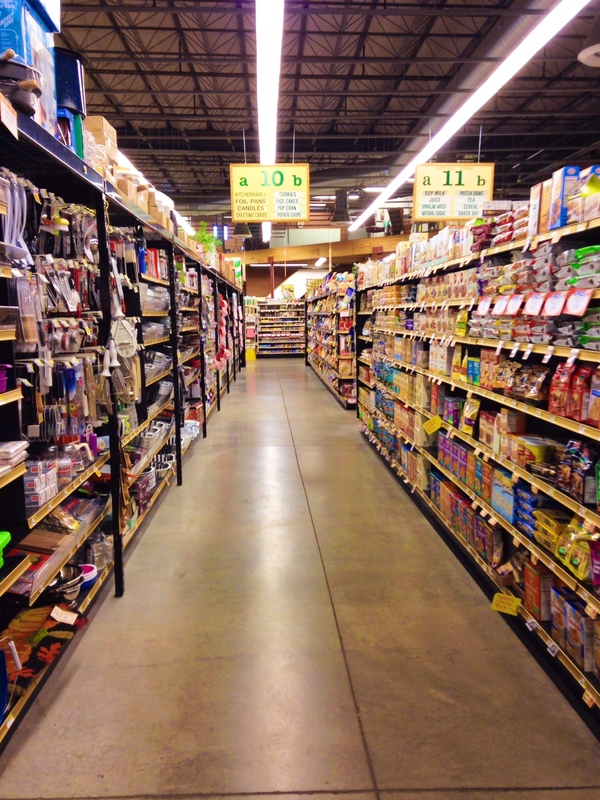 So many things make me happy about this new venture: I love meeting people, I love grocery shopping and I love finding ways to help people make their lives a little easier and less chaotic. Seems like the perfect match to me! This entry was posted in lifestyle blog and tagged boating, community, entrepreneur, food, grocery shopping, marina life by wildrose. Bookmark the permalink. Love the business idea! I plan on taking a trip to Friday harbor this summmer, and I will definitely be needing some provisions by the time I get there! This would be awesome! Make sure you send me the URL when the site is ready!